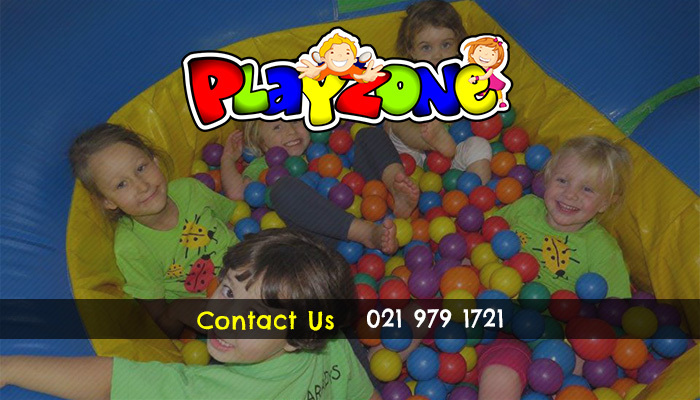 Playzone is a kids’ party venue situated in the Northern Suburbs. It is known as one of the biggest play areas for kids in this area. 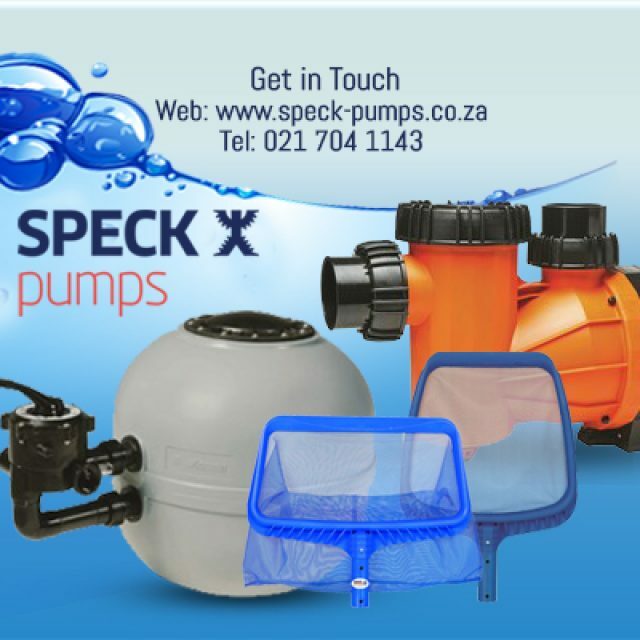 We specialise in kids’ birthday parties and we aim to make every party a memorable one. Clients can choose between a selection of options when it comes to your child’s party. 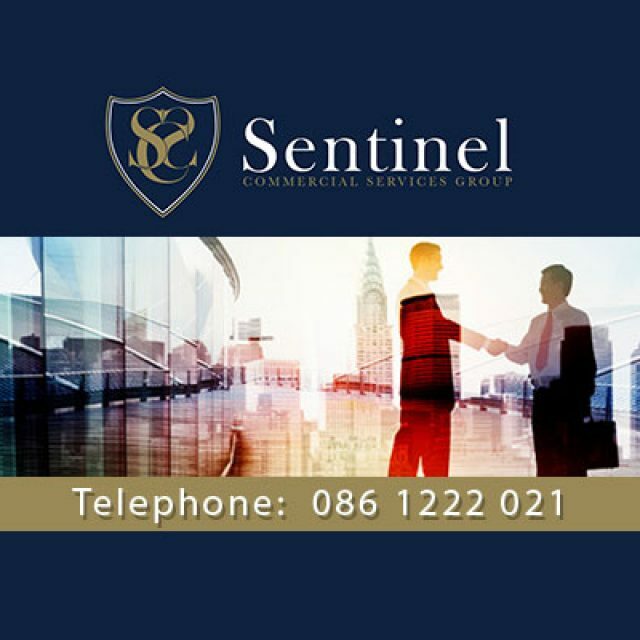 We are also open on a daily basis so that your kids can come and get rid of all their excess energy. Therefore, if you feel that you need some quiet time, bring your kids to Playzone and let them play for a few hours. During this time you are welcome to unwind in our cafe, while you enjoy great food and free WiFi. Clients can rest assured that we will take care of every little detail to make sure that your child haves fun on his/her birthday. 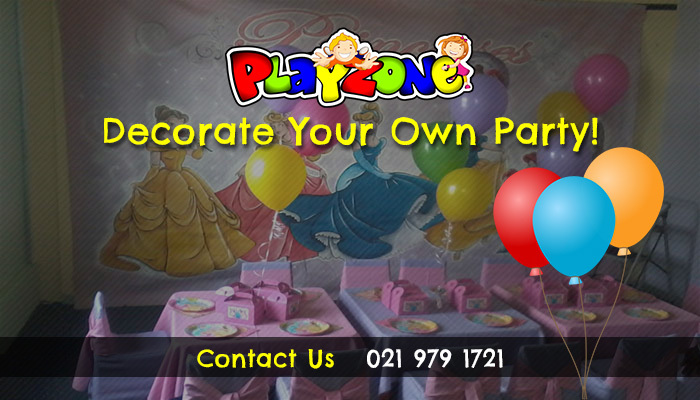 Our different options for birthday parties are: to hire a party room from us, but bring your own decor and catering. For this option, tables and chairs are included. 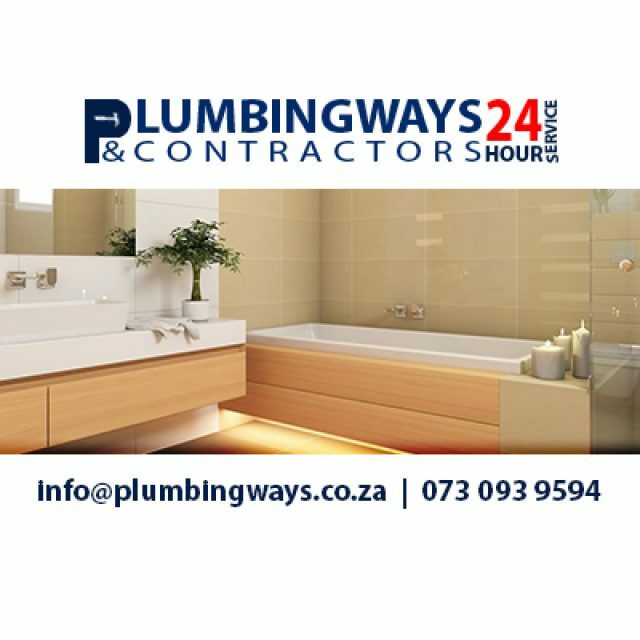 Or to let us host the party on your behalf. This option includes all decor elements, a hot dog and snack box for each child, and all tables and chairs. 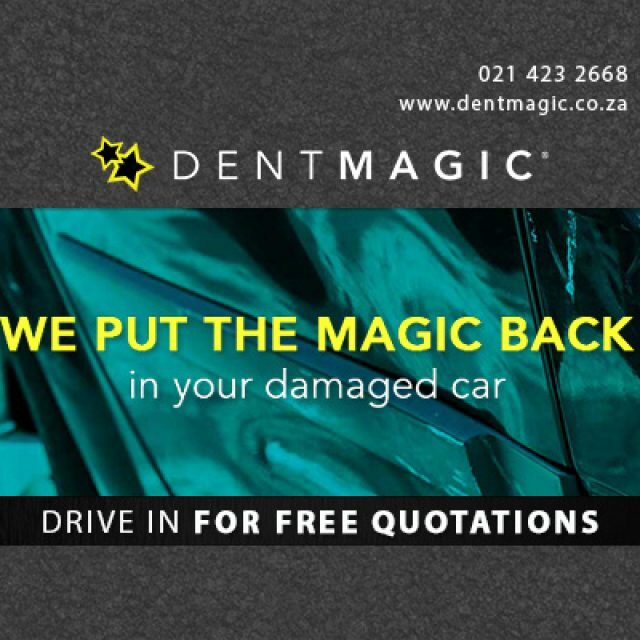 If you would like to throw a themed party, you are welcome to choose from our range of themes, such as Disney Princesses, Under the Sea, Cars, Barbie, Army, and more. 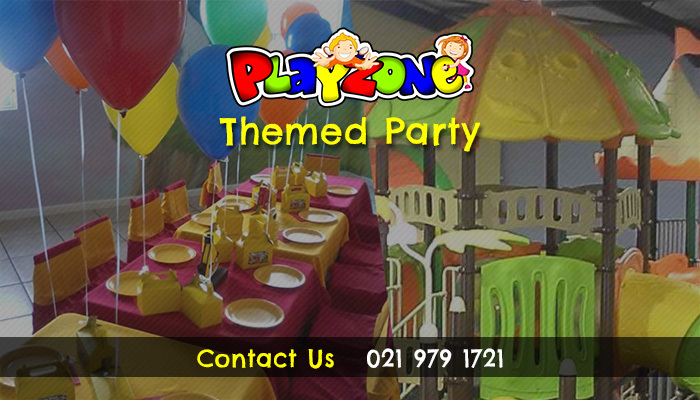 Funtasia Party & Decor is now also situated in Playzone. You’ll find all your party supplies right here! 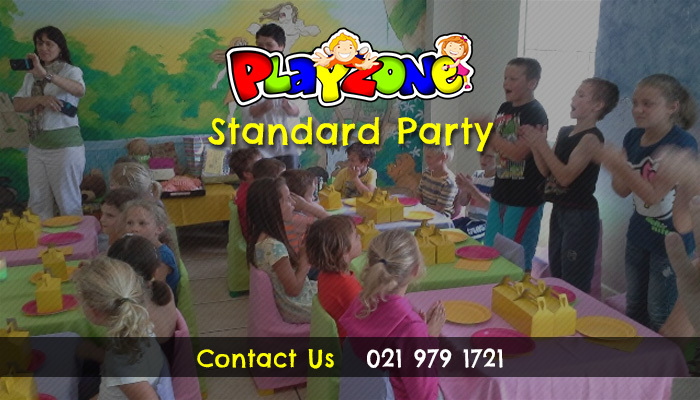 Since our venue is quite popular for birthdays, be sure to book your child’s party way in advance. We look forward to celebrating with you!